Following the latest hacker attacks from China on western countries and the massive attack on Estonia by russian hackers, the US Air Force decided to set up its Cyber Command, in an effort to prepare for wars in cyberspace. 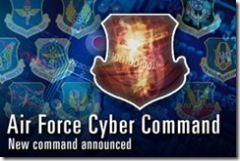 Within a year, the provisional Cyber Command will pave the way for the first Air Force major command dedicated to just cyberwarfare operations. 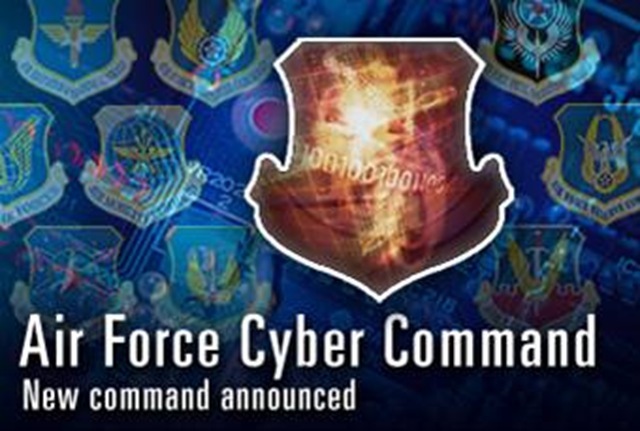 The full Air Force Cyber Command “will train and equip forces to conduct sustained global operations in and through cyberspace, fully integrated with air and space operations,” said Major General Charles Ickes. Skilled hackers can exploit weaknesses in computer networks to steal or change information, cripple them with viruses or overwhelm them with masses of data. The mass attacks on Estonia in May shut down government websites, banks, schools and other institutions. The US military has recognized the potential for cyberwarfare at least since the late-1990s when officials acknowledge launching offensive electronic attacks against Yugoslavia during a NATO air war over Kosovo. But it has expanded its efforts in recent years as rivals like China have stepped up their efforts, and while Al-Qaeda has exploited the Internet to recruit followers and plot attacks. “It’s an area in which to fight,” he said at a conference at the Center for Strategic and International Studies.